While connecting to your network wirelessly, there may be an instance when you get a pop-up message asking you to enter a username, password and a logon domain to be granted Internet access. This problem usually occurs when your computer is running Windows Vista® or Windows® 7. The logon domain authentication happens when the connection you are using is not set correctly. When this happens, you may choose to switch to another connection or make corrections to your current settings. However, it is recommended that you create a new connection manually. This article will guide you on how to resolve this particular issue. You will have to delete the connection that is asking you for the logon domain. In the example below, the wireless connection in question is BLDG 2. Go to your task bar and locate the Wireless connection icon. 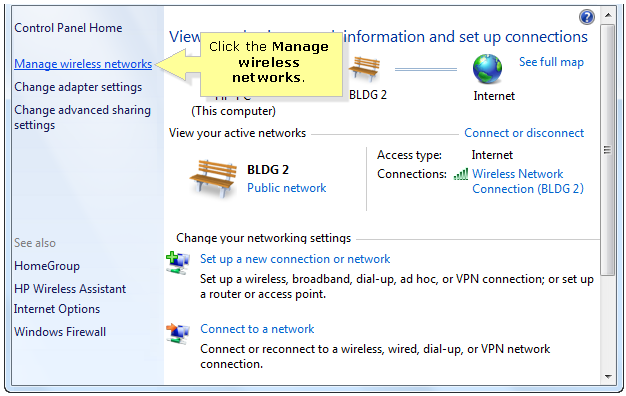 On the Network and Sharing window, click Manage wireless networks on the left panel. 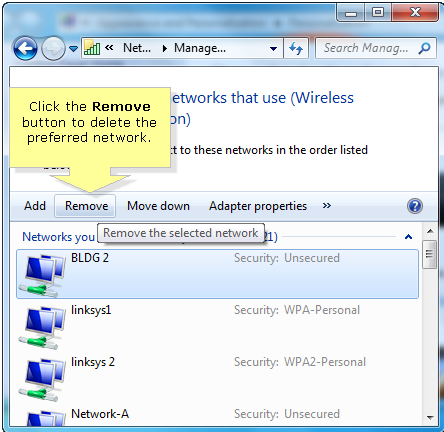 Select the name of the network and click Remove. NOTE: In the example below, the BLDG2 network name is selected. On the taskbar, click on the Wireless connection icon. Double-click the wireless network name you would like to connect to. 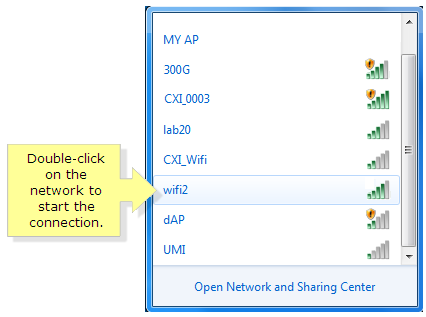 NOTE: In the example below, the wifi2 network name is selected. 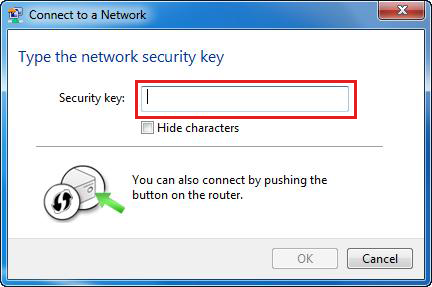 NOTE: If the network has a security encryption, you may be required to enter the security key or passphrase. NOTE: You can also connect a wireless device via the Wi-Fi Protected Setup™ (WPS) button located on the router. To know more about connecting devices using WPS, click here. To know if you have successfully connected, hover your mouse pointer or cursor over the Wireless connection icon. 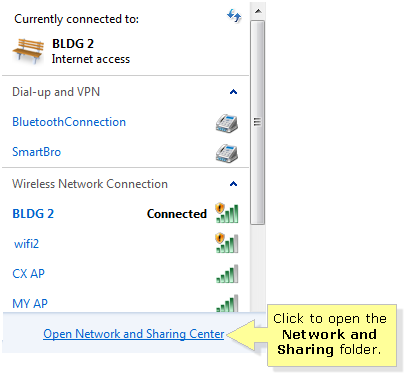 It should display the network name your computer is connected to with Internet access.